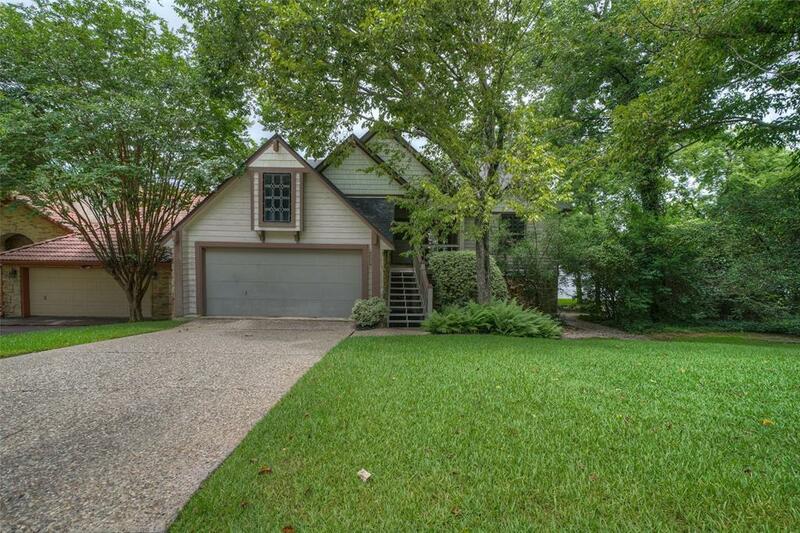 4106 Windswept Drive, Montgomery, TX 77356 (MLS #78453226) :: TEXdot Realtors, Inc. 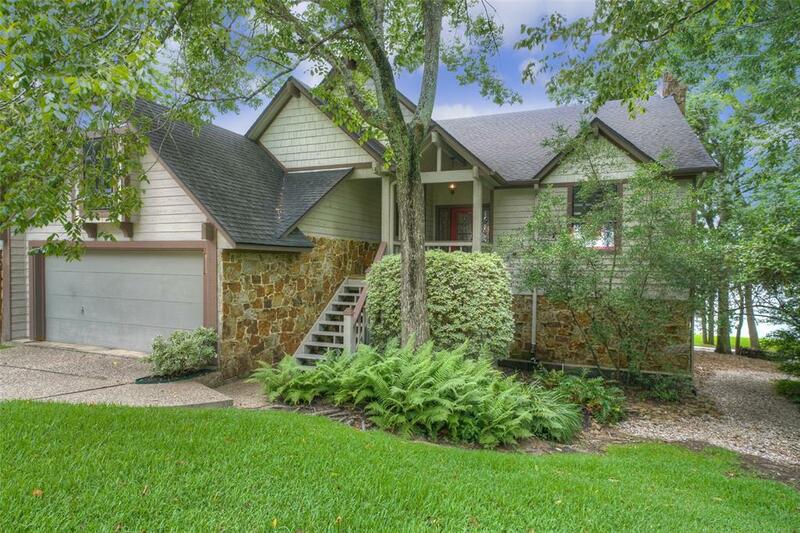 True OPEN WATER Views from nearly every room in this lakefront home. Great water depth year around. Zero obstruction from power lines, FM 1097 bridge or other homes. This is what you have been searching for! Private, wooded, double lots, .33 acres on the water with covered outdoor entertaining area with kitchen and fireplace. 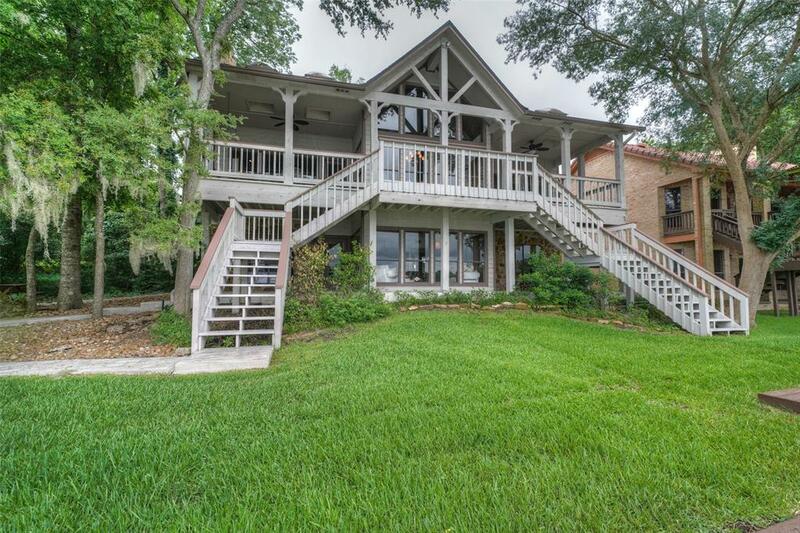 Covered boat lift with 2 jet ski lifts plus expansive boat dock with additional seating room. Inside features include open floor plan, high ceilings, wood beam accents, abundant windows to allow natural light in and irresistible views out, brand new California Closet System in the master suite and master bath for additional storage, upper and lower living areas along with 2 bedrooms down and impressive game room/bedroom. This great space is multipurpose and ideal for additional sleeping room. Walden offers walking paths, golf, tennis, area pools and so much more. Come and live where you love to play! Montgomery ISD.